KARMA FOOTPRINT : £240 raised for AMINA. WHY : To raise funds and awareness for Amina and her family, who had to leave Iraq due to the threat to their lives posed by ISIS. Amina became paralysed after moving to Austria and is being placed in a hospital over 6 hours away from her family. The money raised for Amina will allow her husband, Yousef, and two young sons, aged 8 and 10, to visit her once a week, and also provide support for the family’s welfare. 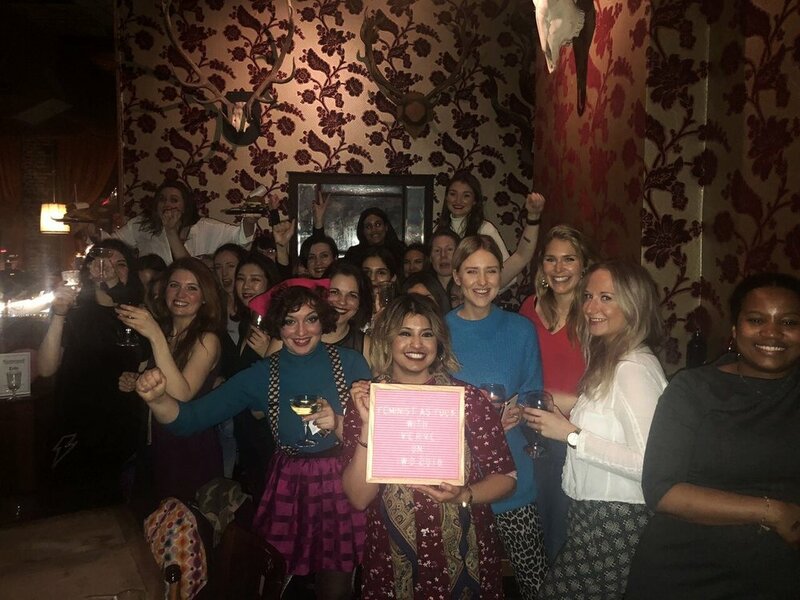 RECAP : Prosecco Pong, a badass woman DJ, and a woman-owned bar filled with 40 amazing women… and all for a great cause! We couldn’t think of a better way to spend International Women’s Day 2018 than bringing together fabulous women, claiming a man-free space for the evening and raising awareness of the plight that many women, like Amina, go through as a result of war and terror. The drinks were flowing, conversations were buzzing and the Prosecco Pong… well... balls were everywhere (ironic for an aggressively balls-free zone). PS - A massive thanks to The Lexington for hosting our event.